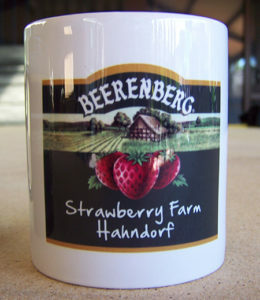 Personalized mugs are a great way to…Promote your Business or Promote your Sporting Club, Car & Motorbike Clubs. Birthday Party’s, 21st, 30th, 40th. Dye Sublimation for Ceramic Mugs is an excellent process if you need FULL COLOUR, to print tones, photos or numerous colours. Your image is heat transferred onto the white panel of the mug and is extremely long lasting and diswasher safe. To extend the life of your image, washing by hand is recommended.